This simple maintenance routine will keep your violin playing and looking its best for many years. Tighten the adjustment screw at the end of the bow until the hair is about the width of a pencil from the bow stick. Lay your bow across your lap or on your music stand. 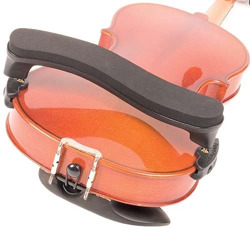 Attach your shoulder rest to the end of your violin. Holding the violin by its neck in your left hand, raise it into playing position under your chin. With your right hand pick up the bow by its frog. You're ready to play. If you take a break, put your violin and bow back in the case so they don't get bumped, knocked off, sat on, or kicked. 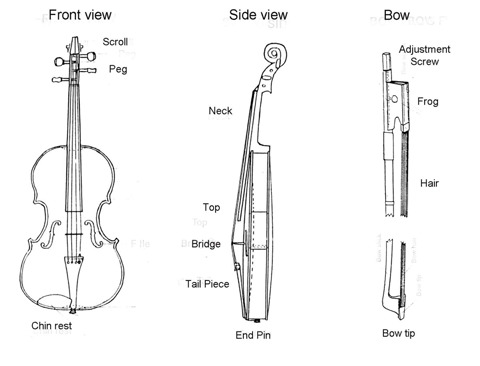 Set your bow in its case or on your music stand temporarily while you tend to your violin. Remove the shoulder rest from your violin. 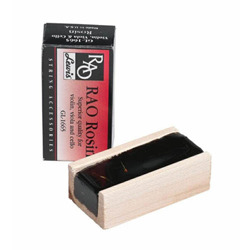 Use your soft cloth to wipe the rosin dust off the bow stick. (Careful not to touch the hair.) Put the bow in its compartment in the case. Put your rosin, tuner, and any other small items in the compartments inside your case so they won't bounce into your violin and damage it. 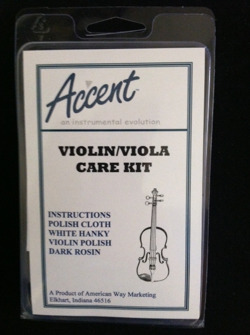 If you get a build-up of rosin on your violin, use liquid Fiddlebrite or a Miracle Cloth to remove it. 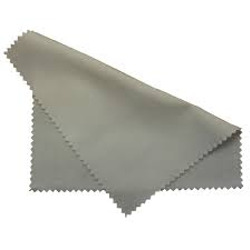 Wash out your cleaning cloth or replace it with a new one.